Laptop bags are usually anything but chic and stylish, yet we settle for what we find in best buy, with velcro flaps and polyester material or what we make of a normal tote bag. 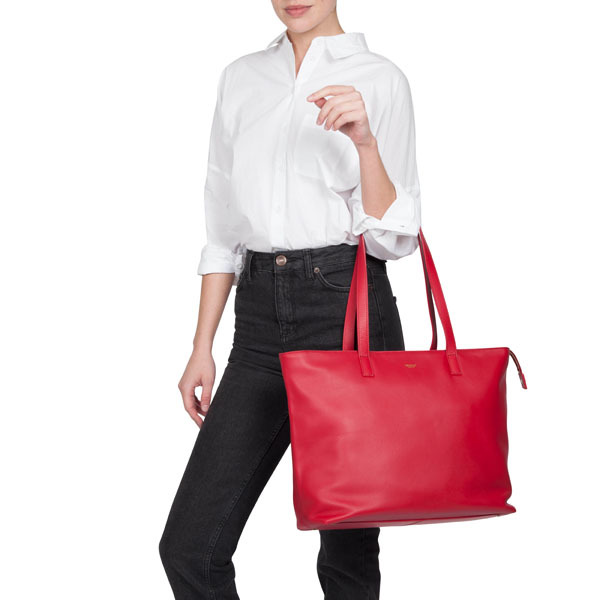 Most of us don’t know there are better options out there, which offer the functions of a good laptop bag, with the style of a Kate Spade tote. 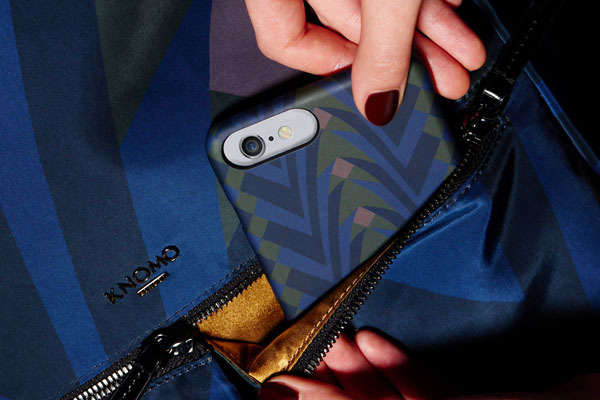 Knomo is here to answer all our fashion prayers by offering stylish bags for the tech-savvy fashionista and wanderlust traveller. 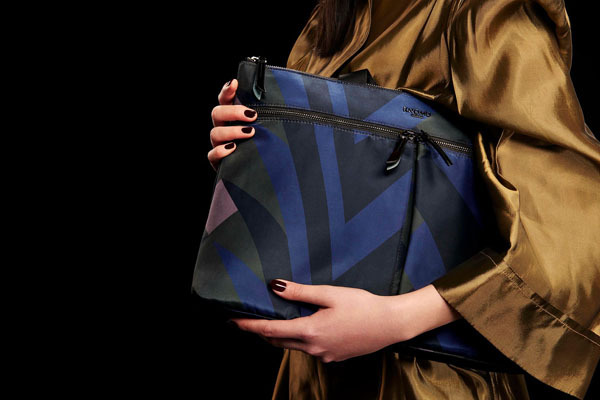 Inspired by travel in the 1920s and 30s, and bridging the worlds of technology and travel in one range, the world-renowned Victoria and Albert museum and global accessories brand Kmono have come together to create a collection that uses an original print from the glamorous Roaring Twenties. The unique 5-piece collection comprises 3 bag styles including a tote pack, a backpack and a briefcase, along with a Carry-all Pouch, and a foldable Shopper. Each design sports a two-colour arrangement: ‘Night Forest’ encompasses tones of blue and green, which can be described as an abstract camo print and the ‘Monochrome’, uses shades of white, grey and black, for a simple yet, sophisticated look. 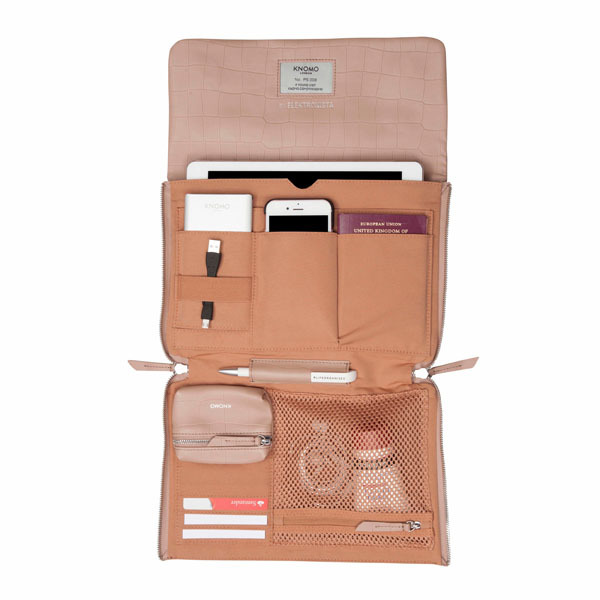 Inside each product from the collection are a number of organizational pockets and compartments, perfect for your travel essentials such as a passport, Kmono portable battery and Knomo travel adaptor, along with a laptop and other belongings. The design considerations in this bag make it the perfect carry-on for all your travel needs. In this day and age, technology is everywhere and we are so dependant on it, whether we are using it for business or leisure. Kmono took this into deliberation and raised the bar with a portable on-the-go charging solution, which conveniently sits inside any bag or case and delivers all the power your phone needs, so you never run out of battery. The “DropGo” is super slim in design so it’s not obtrusive, yet remains stylish to compliment the bag and easy to use, which makes it convenient and a must have accessory in every persons bag. Knomo is perfect for ‘Digital Nomad’ lifestyles, where the world is your office. Their clever bags and accessories get life organized, protect your devices and keeping belongings in check, while also looking chic.